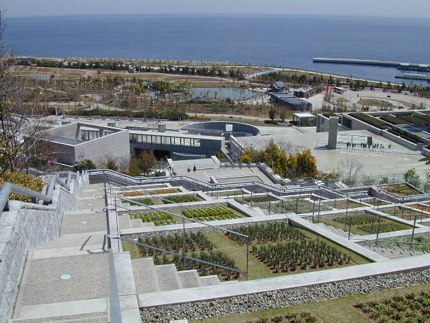 The mixed-use complex of Awaji Yumebutai was constructed on the remains of a hillside whose earth had been used for a huge landfill project for the Osaka Bay area. 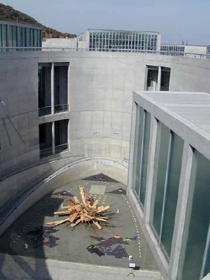 Through its construction this intricate complex of interior and exterior spaces not only serves in reconstructing the landscape that had been destroyed but also, through the idea of rebirth and reconstruction, serves as a memorial to the thousands who had lost their lives and the destruction of land in the massive earthquake that shook the Kobe region in 1995. The complex is a series of intersecting geometric parts that make up a whole. It consists of a hotel, chapel, international conference center, restaurants, terracing flower gardens, water gardens, plazas that are animated through light and shadow and sounds of running water, a green house, and outdoor theater. 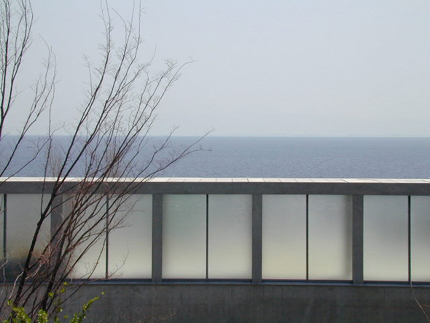 It is a manmade construction that integrates itself into and becomes part of the landscape as it overlooks Osaka bay and descends from hillside to sea. This rich interweaving spatial experience is constructed through a spatial sequence of interior and exterior, light and shadow, running water and still water and a framing of views to the sky, water and vegetation. 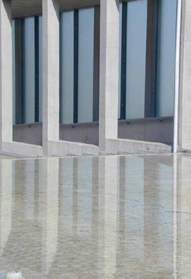 The physical materials of these spaces, silky smooth concrete, rough stone, sea shells, translucent and transparent glass, water and vegetation are punctuated by more temporal materials; light sound and smell. The best way to access the complex is through the hotel. 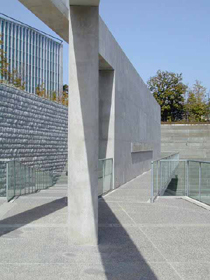 From this route one can also see Tadao Ando’s drawings and sketches of the project. Following the exhibition space one traverses underneath a curtain of running water to the gardens. Also accessed from the hotel is the chapel. Located below ground the chapel is illuminated from a cruciform shaped void in the ceiling. On the exterior the chapel can only be seen by its bell tower and cruciform glazing which seems to be floating in a pool of water. 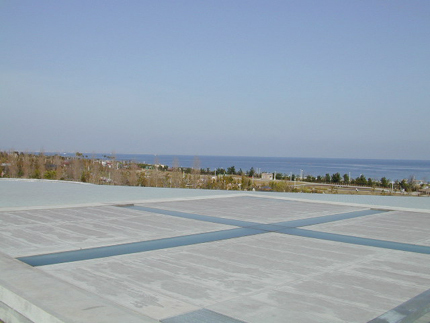 Located on Awaji Island not far from Awaji Yumebutai is the Water Temple also by Tadao Ando. By train (from Osaka) take JR line to Maiko Station (45 min.). At Maiko Station follow signs leading to Ko-soku Maiko bus terminal which is located outside of and above the train station on the bridge leading to Awaji Island. Take the bus to Higashiura inter-change bus terminal. From here take the local bus to Awaji Yumebutai-Westin Hotel bus stop. There is a shuttle bus that transports people around the island to various destinations. 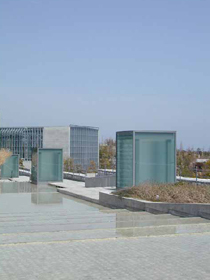 Awaji Yumebutai and The Water Temple are two stops on this route. See www.shozen.com for more information on this bus or telephone +81 799 62 5222. The botanical gardens are open 10am-6pm. For more information please telephone +81 799 74 1200. For the Westin Hotel Resort and Conference Center, telephone +81 799 74 1111. For more information please visit www.yumebutai.co.jp.